Would this include submissions such as paintings of flowers done in watercolour? Would submissions be given back once the month period is over? 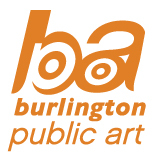 This entry was posted on January 21, 2019 by burlingtonpublicart and tagged installation art, Public Art, temporary art.